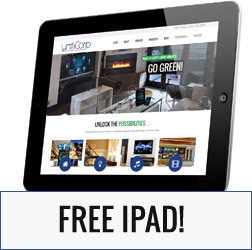 UntiCorp | Home Automation Services | MD, VA, DC | UntiCorp Inc.
All design builds integrate some or all of these services. If you are only interested in the green lighting, home automation, and surveillance cameras, we can do that. Our goal is to provide you with a system that can be easily transitioned into your personal and everyday lifestyle. 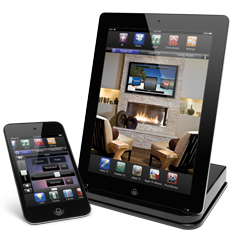 One of the primary benefits of installing a home automation system is the security. With home automation, you can remotely turn on and off your lights to simulate someone in your home to discourage any unwanted guests from attempting a break-in. If someone does break-in, there are surveillance camera systems, a loud house alarm, and recording software that is sent through your network to the device of your choice to notify you when something is wrong. The energy savings from a home automation system comes from the green lighting service, where your lights can be controlled remotely and even set to turn on and off at certain times. The same can be done with your heating and air conditioning systems to ensure your home does not use unnecessary energy. We also offer shades from companies like Solar Shading Systems that provide controls to open and close shades at will, or during times when the sun is shining or not. Combined, these services can potentially save you hundreds of dollars each year on your electric and water bills. If there’s one thing home automation gives you, it’s entertainment. Our services can provide you with a whole house entertainment system, allowing you to control surround sound from anywhere in the house. If you want to hear your music as you move between rooms, have the music switch with you as you walk. With the help of sensors, you can have this happen automatically. Amaze your house guests with this top-of-the-line entertainment technology and show off your home theater system for the big game. What you do with your smart home is truly up to you. Contact us today for a free consultation on how we can transform your home from an ordinary home to an cutting-edge automated home. True touch remote control from your mobile device. It went great. Shawn and his helper were professional and friendly. Shawn was excellent at fixing the system and showed me how to fix the situation myself should it happen again. Very professional and honest.